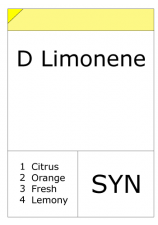 D Limonene Limonene is a colourless liquid possessing a strong smell of oranges. 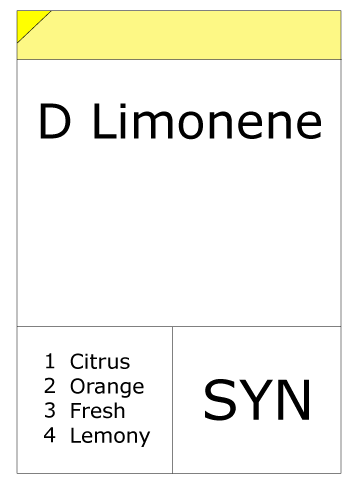 Limonene takes its name from the lemon, as the rind of the lemon, like other citrus fruits, contains considerable amounts of this compound, which contributes to their odor. D-Limonene is obtained commercially by extraction from orange peel with supercritical CO2.